Up, Up and… Oh No! Mammoth Mountain’s new Director of Base Operations, Finlay Torrance, is on a unique mission—he’s spent four long, brutal days this summer scrambling around the Sierra, trying to help a west side middle school teacher find a lost weather balloon. 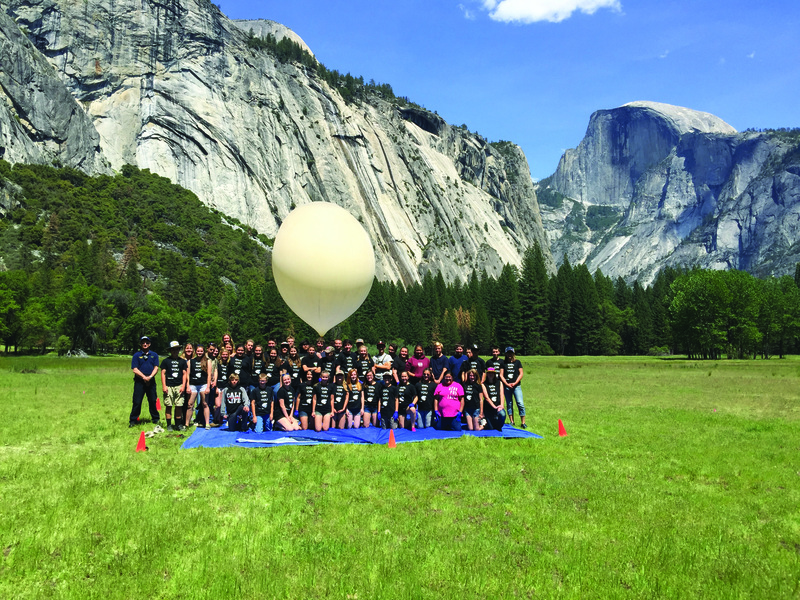 He and Danielle Grate, who teaches science to 7th and 8th graders at Woodland Elementary School in Mariposa, have scoured more than sixty miles of dangerous terrain on the 12,500-foot Mt. Lewis, where Grate says the last “ping” from the weather balloon’s GPS tracker sounded before it went dark. The tracker “pinged” every 2.5 minutes while the balloon was in flight, but stopped transmitting once it landed. Torrance was recruited by his friend Buzz Arnold, a schoolteacher at Mariposa High School, who heard that Grate was having difficulty accessing the area after an initial rescue attempt turned up nothing. The balloon, Grate told The Sheet, most likely had a manufacturing defect that caused a weakness—it was supposed to reach a height of 24 miles, but only made it to 10.1. Ideally, it would have dropped to the earth out by Grant Lake, “and we just could have strolled out and picked it up,” said Torrance. However, when Grate saw the area that the balloon ended up, she knew she might need to recruit some professional help.